Deniz Eseryel joined North Carolina State University in August 2014 as a Chancellor’s Faculty Excellence Program cluster hire in the Digital Transformation of Education. She is an Associate Professor in the Department of Teacher Education and Learning Sciences specializing in Digital Learning and Teaching. She is also a Senior Research Fellow at the Friday Institute for Educational Innovation. The important but little understood question that has motivated her program of research is: How can we effectively and efficiently promote cyberlearning in complex knowledge domains such as STEM? Towards this direction, she (1) investigates the development of higher-order thinking and complex problem-solving competencies following a comprehensive framework that includes cognition, metacognition, cognitive regulation, motivation, emotion, and epistemic beliefs; (2) develops innovative assessment methods that can benchmark progress of learning and the development of complex problem-solving competencies; (3) develops new and effective approaches to design state-of-the-art digital learning environments (such as intelligent tutoring, system dynamics modeling, simulations, virtual reality, and digital games) to facilitate complex problem-solving competencies; and (4) investigates effective ways to prepare teachers and administrators for digital transformation of education to support effective integration and seamless adoption of advanced learning technologies into education. In addition to her work focusing on science, technology, engineering, and mathematics (STEM) learning in K-20 educational settings, her research were also carried out in professional contexts including army, aircraft maintenance, air-traffic control, emergency response, environmental sciences, climate change, medical education, instructional design, architecture, construction science, mechanical engineering, industrial engineering, and systems engineering. 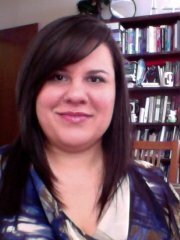 Prior to joining NC State, Eseryel was an Associate Professor in the area of instructional psychology and technology at the University of Oklahoma. She received her doctorate in 2006 from Syracuse University, where she also completed her post-doctoral training. Eseryel published numerous books, peer-reviewed articles, book chapters, and referred conference proceedings in the areas of educational psychology, instructional design and technology, and learning sciences. She recently co-edited a book for Springer titled “Assessment in Game-based Learning” and a special issue for Educational Technology Research and Development (ETR&D) titled “Towards Innovation in Complex Problem Solving Research: Implications for Instructional Design and Technology.” She is currently co-editing a book series for Springer titled “Advances in Game Based Learning.” She serves on the editorial boards of several leading journals in instructional and learning sciences and has held elected offices for the past ten years in the professional organizations including the American Educational Research Association (AERA) and the Association for Educational Communications and Technology (AECT). Her Presidential service in the latter was honored by the Outstanding Service Award in 2013 by the AECT Design and Development Division. Eseryel has been collaborating with leading researchers in Europe and in the U.S.A. on large-scale projects funded by both private and government agencies including National Science Foundation, Institute of Education Sciences, European Union Commission, Institute of Museum and Library Services, U.S. Government, Fulbright, Indonesian Department of Public Health, HP, Merrill Lynch, and Universeit Twente. Her research has been recognized by five awards: 2012 Outstanding Journal Article Award from the Association for Educational Communications & Technology (AECT); 2010 Young Researcher Award by the American Educational Research Association (AERA); 2009 Design & Development Showcase Award by AECT; 2006 Outstanding Dissertation Research Award by Syracuse University and 2000 International Scholar Honor, by Phi Beta Delta.